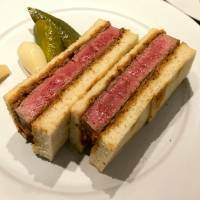 Wagyu beef could hardly be hotter in Tokyo these days. 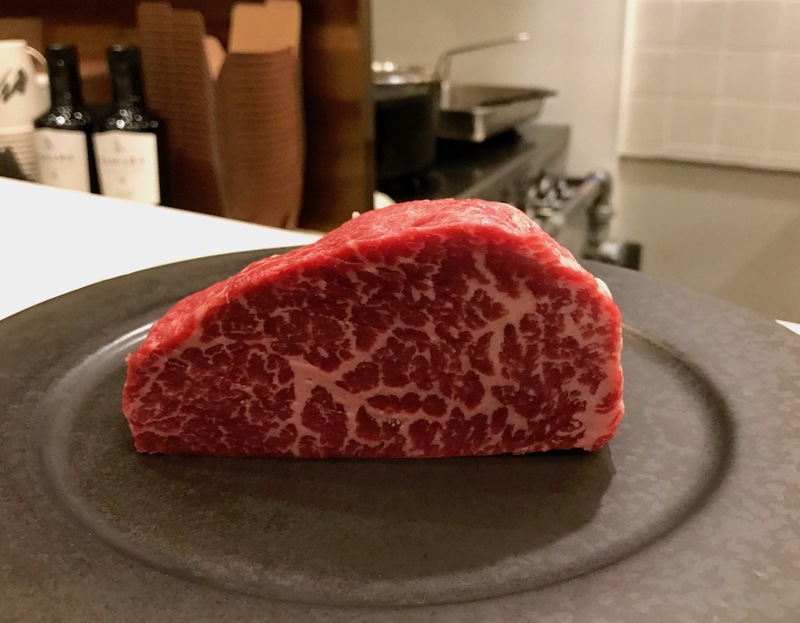 The richly marbled meat from Japan’s prize pampered cattle is drawing global gastronauts to some of the city’s most exclusive and expensive venues, none more so than Wagyumafia. Whatever you think about the name — is it edgy, cynical, tongue-in-cheek, crass? 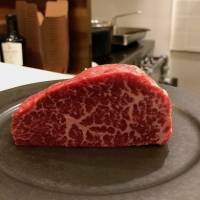 — there’s no arguing about the quality of the cuts served by beef specialists Hisato Hamada and Takafumi Horie. 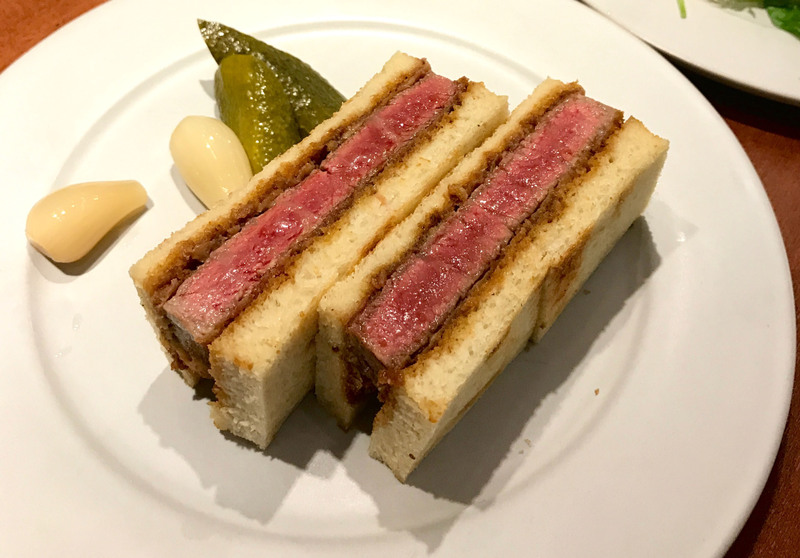 Or about their media presence: Last year, they set a Guinness record for the most expensive Kobe beef dish ever served, at their intimate, members-only Akasaka restaurant. This year, it’s been the launch of their open-to-all outlet in Naka-Meguro that has grabbed headlines. There’s only one thing on the menu here: gyu-katsu (deep-fried breaded beef cutlet) sandwiches. 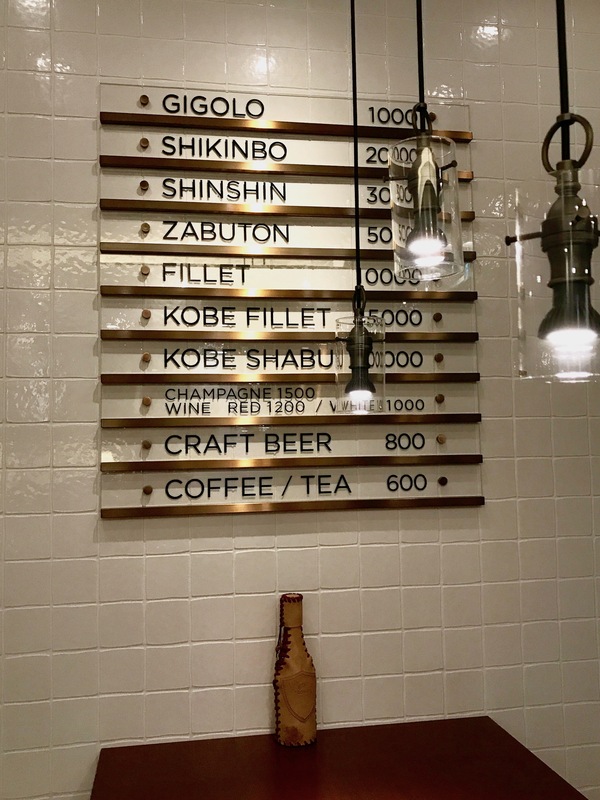 And the top-of-the-range offering — 100 grams of premium Kobe chateaubriand steak — commands a cool ¥20,000. There are other options at more affordable prices but they are lesser cuts or from generic breeds. 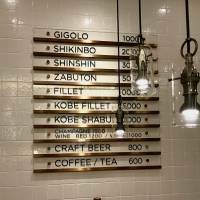 Zabuton, an excellent shoulder cut from Shinshu cattle is just ¥5,000, while menchi katsu (minced beef) is a mere ¥1,000. Truffle fries are extra (¥1,000), as is the salad (¥750). Don’t ask for atmosphere, though. Or chairs. The room is stark and you stand at a small communal table while chef Yasuhiro Inoue prepares your meal from scratch. He does a brilliant job and the meat, even in those lower-level sandwiches, is rich and juicy. Is it worth the outlay? Only you can be the judge of that.